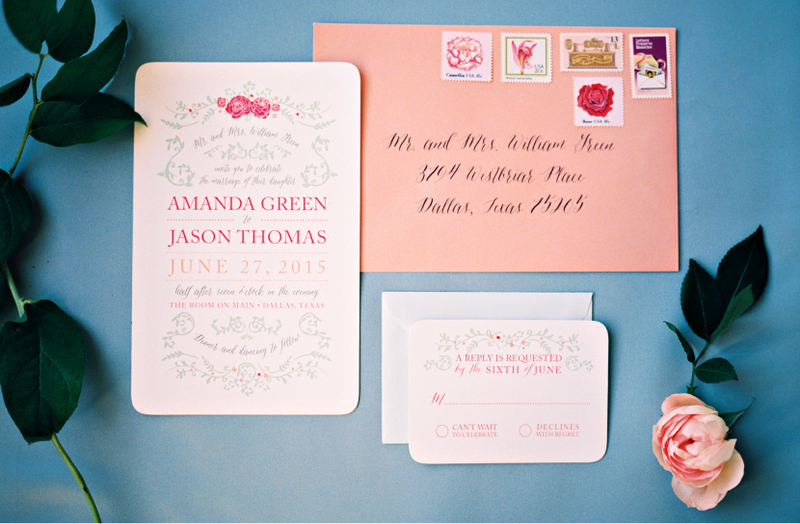 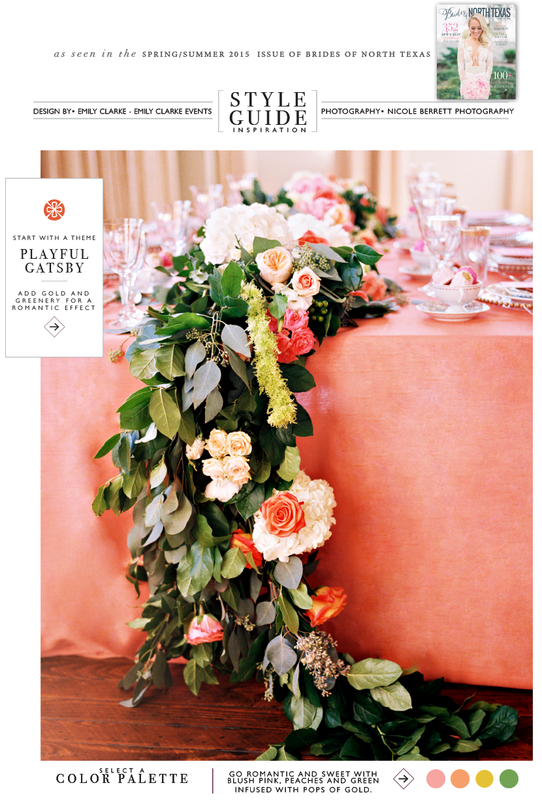 Brace yourselves for this playful and romantic shoot designed and concepted by Emily Clarke and Morgan Trevino of Emily Clarke Events! 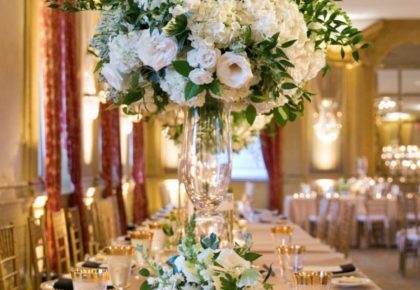 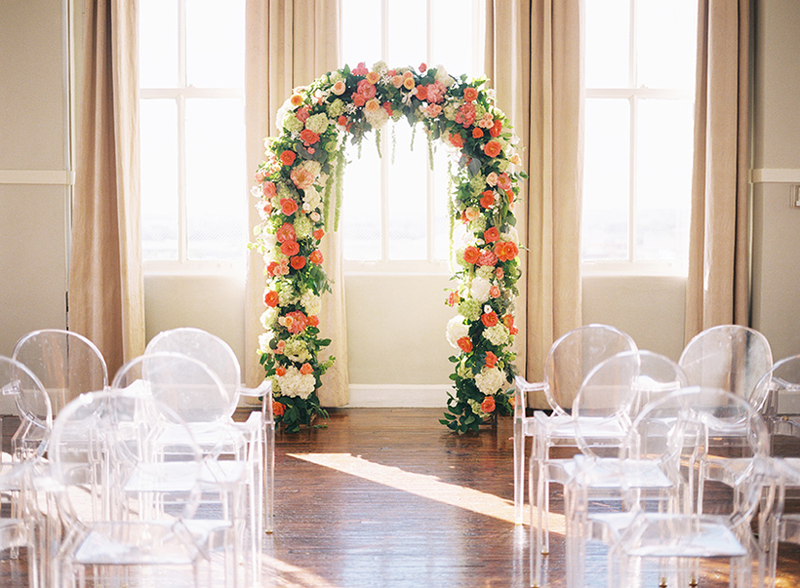 Nicole Berrett Photography perfectly captured every dreamy detail at The Room on Main. 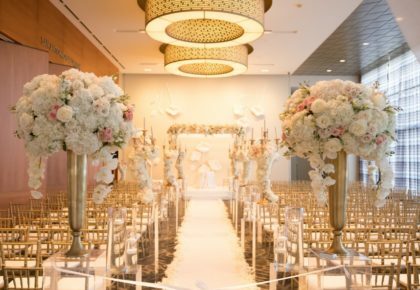 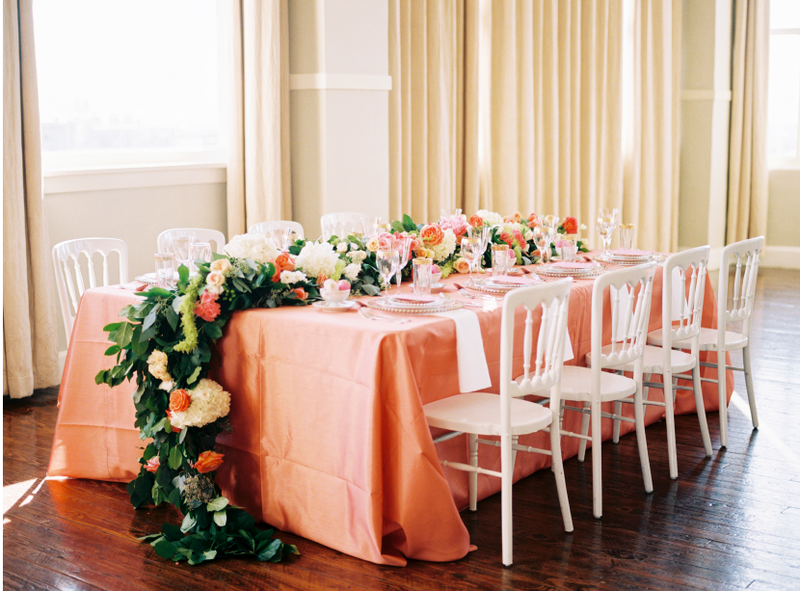 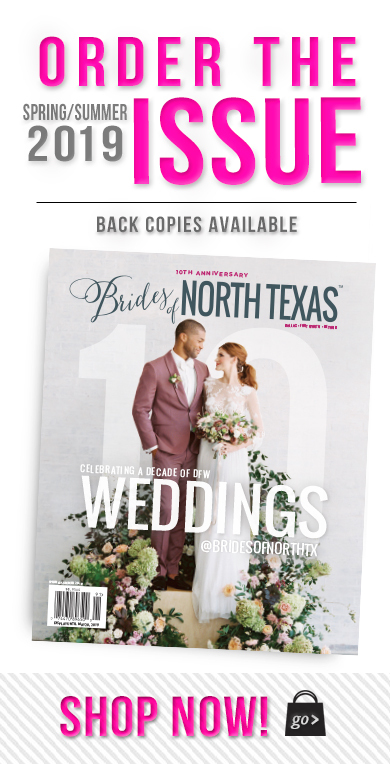 The over-the-top gorgeous florals by The Garden Gate were beautifully complemented by BBJ’s coral linens, Posh Couture Rentals’ luxe place settings and lovely rental pieces from Suite 206. 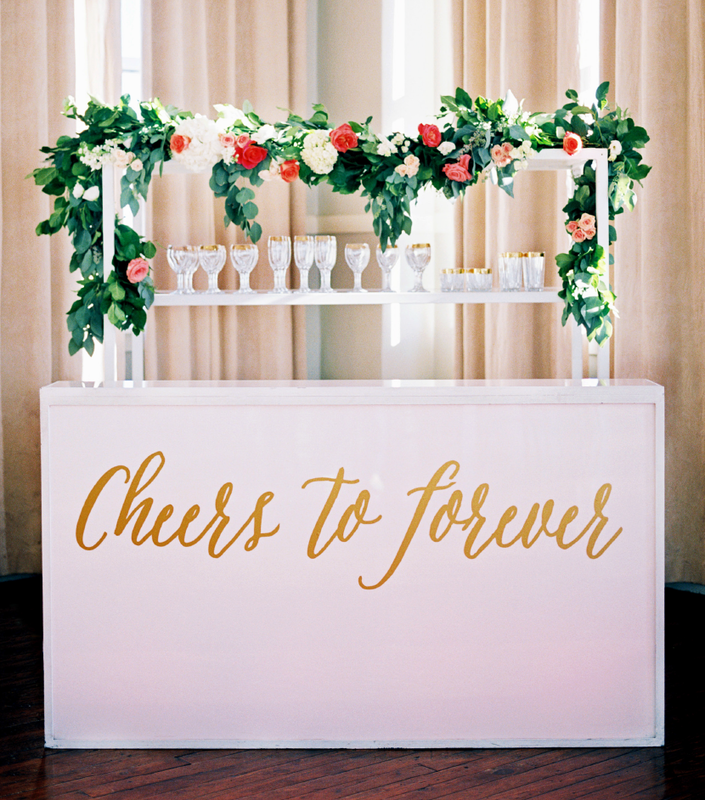 The white bar setup was adorned with florals and stemware, complete with a laser cut calligraphy decal from Southern Fried Paper, who also created a beautiful invitation suite and menus. 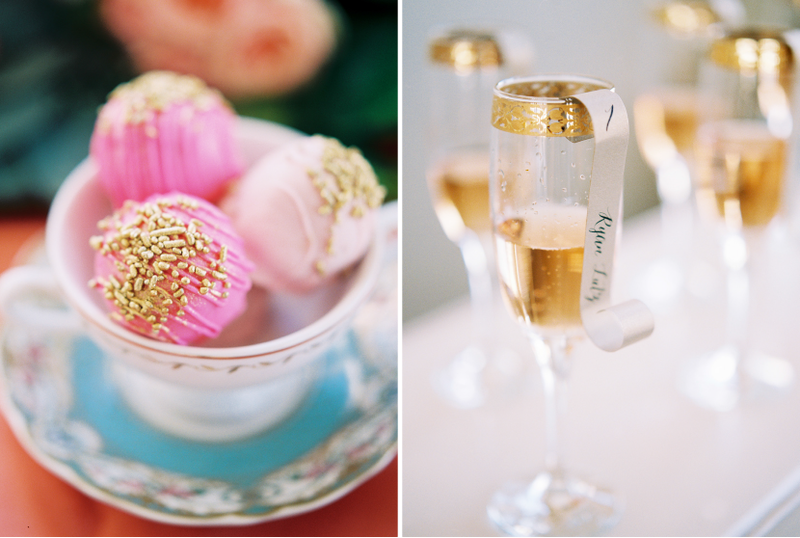 The amazing cake from Sugar Bee Sweets, dripping with hand painted gold sparkle, and perfectly pink glittery cake balls were absolute perfection! 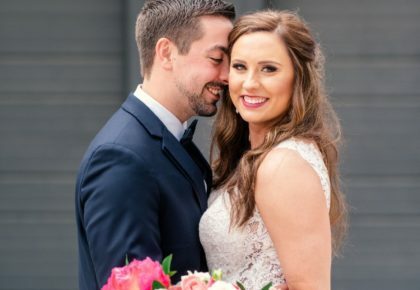 The bride looked stunning thanks to the work of Samantha Landis Bridal Hair Styling, and wore a delicate gown from the Bridal Salon at Neiman Marcus! 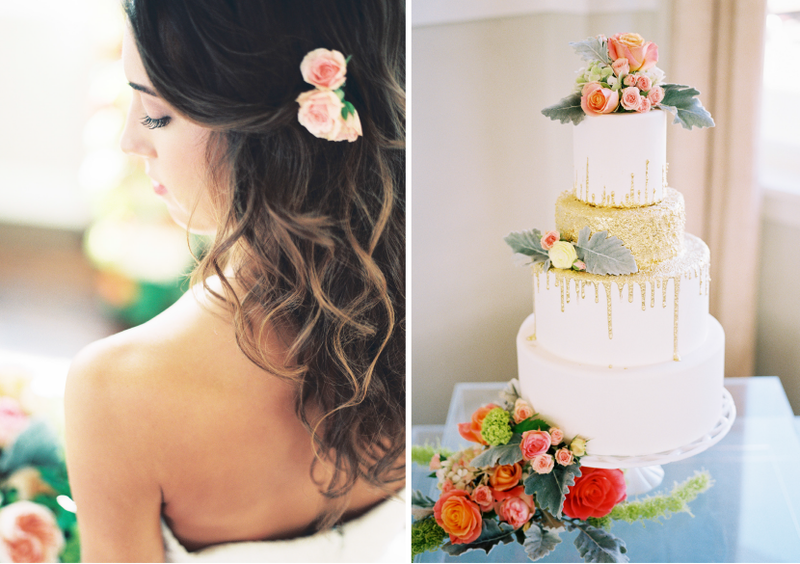 Stay tuned as we share more beautiful wedding inspiration!